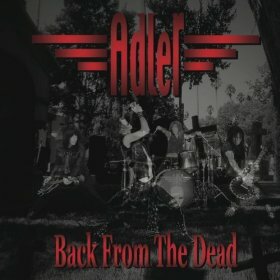 Hall of the Mountain King: Review: Adler, "Back from the Dead"
Review: Adler, "Back from the Dead"
Drummer Steven Adler has built a fair bit of legend in hard rock circles, but for all the wrong reasons. Adler, you may recall, was the guy who was kicked out of Guns n’ Roses because of his drug problem. That takes some real effort. All these years later, Adler, by all accounts, has his act cleaned up and his life back under control. He’s teamed up with three younger musicians who appear to be cut from the cloth of modern rock radio in hopes of building some legend in a different way with his new outfit Adler. Vocalist Jack Bunton and guitarist Lonny Paul wrote most of the material for the record, which was co-produced by Adler and Dokken bassist Jeff Pilson. The combination works just as you hope it would, producing songs that could put the band on modern rock radio, but still have some ties to Adler’s glitzy 1980s hard-rock past. That blend is apparent on the first taste of this record that fans got before its release, “The One that You Hated.” The verse of the song would be right at home on a rock radio playlist, but then it goes off into a big, hooky 1980s rock chorus and a very Slash-like guitar solo from Paul, who shreds with ‘80s abandon all over the record. It’s one of those catchy songs that sticks around long after it finishes playing. First official single “Good to be Bad” leans more toward the old-school side of the fence, a strutting attitude-laced rocker that features a guest shot from guitarist John 5. Bunton’s vocals again though give the tune a modern touch. While Bunton is pretty thoroughly of today’s scene, there’s just a little touch of 1970s glam in his performance that adds another little dimension to the band. Paul is also a serious asset, as he delivers some great grooving guitar riffs on songs like “Blown Away,” “Habit” and “Own Worst Enemy.” He offers up a bluesy, bending acoustic intro with slide on the album opening title track, which also finds Bunton giving a little more restrained performance – at least until the volume gets cranked to 11 and Adler begins to bash away at the drums. 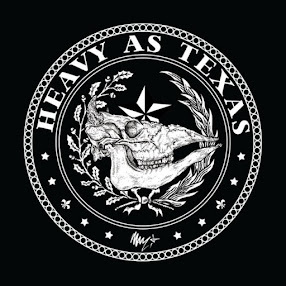 It’s probably the heaviest tune on the record and gets things started on the right foot. It’s not all about moving forward, though. Adler’s old bandmate Slash makes an appearance on the ballad “Just Don’t Ask.” It’s not a bad piece with a real 1980s flavor, but I admit I’d really rather hear them hook up on something a little more rocking. “Your Diamonds” is the most interesting of the three included ballads, opening with a piano and definitely offering up a big early 1980s arena rock feel – think Journey or Night Ranger, particularly on the chorus harmony. But in the end, I’m a rock guy, so I keep skipping the ballads in favor of the harder rocking numbers, which are some of the best to come out of the various projects of the original G’n’R lineup. I won’t quite say that Back from the Dead tops Slash’s Apocalyptic Love, but there are definitely some tunes here that give Adler’s former bandmate a run for his money. Review: Dash Rip Rock, "Black Liquor"
Review: T&N, "Slave to the Empire"